Lowrance has been a world leader in the design, manufacture and marketing of high-quality sportfishing SONAR and Global Positioning System (GPS) mapping instruments for more than 50 years. Lowrance has established a global distribution network, encompassing more than 1,500 domestic dealers, distributors, mass merchants and original equipment manufacturers in the U.S., as well as sales distribution outlets in 53 countries worldwide. Additionally, Lowrance maintains its own sales force in the United States, Canada, Europe and Australia, with product distribution centers located in the U.S., Canada and Australia. With 50 years continuous manufacturing experience, Lowrance designs products that provide the ultimate in high- performance features at highly competitive prices. 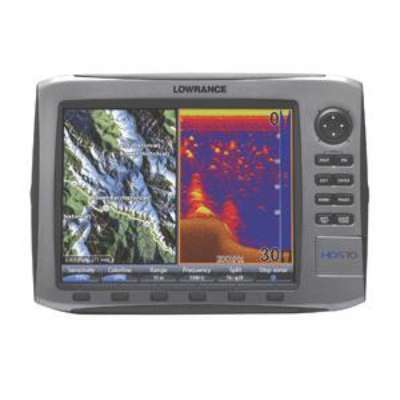 Lowrance's SONAR products graphically display underwater information (bottom contours and structure, schools of baitfish, individual game fish, thermoclines, etc.) and are used primarily by sport fishermen as fishfinders, and by recreational boaters as navigational and safety devices. Its GPS+WAAS mapping products are used by boaters for navigation, as well as by hunters, backpackers, RV enthusiasts, pilots and others to locate their positions precisely (to within 10 feet at select WAAS coverage areas of the U.S.) and to record up to 1,000 waypoints (favorite spots) in a unit's memory and return to those locations at any time in the future. The U.S. Department of Defense's elimination of Selective Availability (SA) within its constellation of satellites during 2000 instantly increased the worldwide accuracy levels of Lowrance GPS products by 10-times. In combination with the more recently installed Federal Aviation Administration's Wide Area Augmentation System (WAAS), positional accuracy, particularly in the southern hemisphere of the U.S., has been enhanced even more. distributors, mass merchants and original equipment manufacturers in the U.S., as well as sales distribution outlets in 53 countries worldwide. Additionally, Lowrance maintains its own sales force in the United States, Canada, Europe and Australia, with product distribution centers located in the U.S., Canada and Australia. With 50 years continuous manufacturing experience, Lowrance designs products that provide the ultimate in high- performance features at highly competitive prices. Contact us today for a free consultation! All Lowrance Autopilots - Marine Chartplotters Combination Fishfinders Fishfinders - Sonar RADAR Antennas - Gearbox SONAR Transducers - Marine All Products Index in Alphabetical Order Lowrance's SONAR products graphically display underwater information (bottom contours and structure, schools of baitfish, individual game fish, thermoclines, etc.) and are used primarily by sport fishermen as fishfinders, and by recreational boaters as navigational and safety devices. Its GPS+WAAS mapping products are used by boaters for navigation, as well as by hunters, backpackers, RV enthusiasts, pilots and others to locate their positions precisely (to within 10 feet at select WAAS coverage areas of the U.S.) and to record up to 1,000 waypoints (favorite spots) in a unit's memory and return to those locations at any time in the future. The U.S. Department of Defense's elimination of Selective Availability (SA) within its constellation of satellites during 2000 instantly increased the worldwide accuracy levels of Lowrance GPS products by 10-times. In combination with the more recently installed Federal Aviation Administration's Wide Area Augmentation System (WAAS), positional accuracy, particularly in the southern hemisphere of the U.S., has been enhanced even more.